It is likely that the world will be a more accessible place for our children than we could ever had imagined! They have any information they require at their fingertips and are unlikely to consider the acquisition of a foreign language a 'challenge'. Whilst our little learners still have a voracious appetite for their native language they are also open to new ideas and sounds, and can accumulate vocabulary from another language at the same speed. 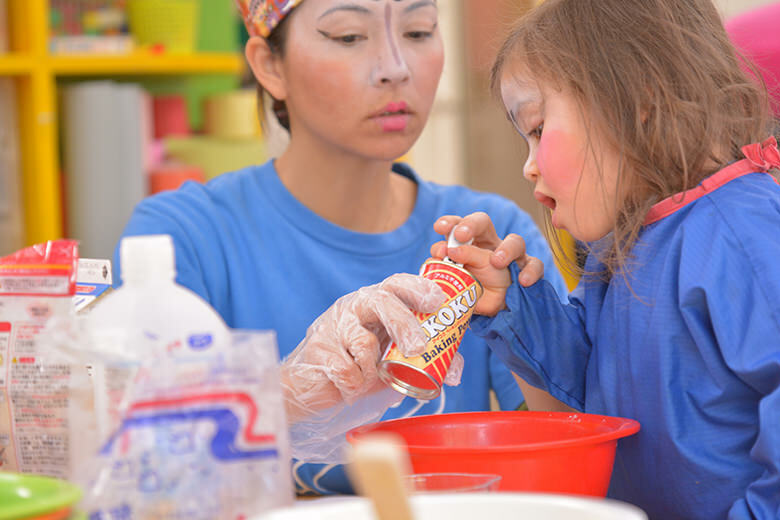 To keep classes fresh, topical and interesting our approach is both bilingual and bicultural, with lots of emphasis placed on festivals, traditions and customs throughout the term. Why Study via the JLIP? 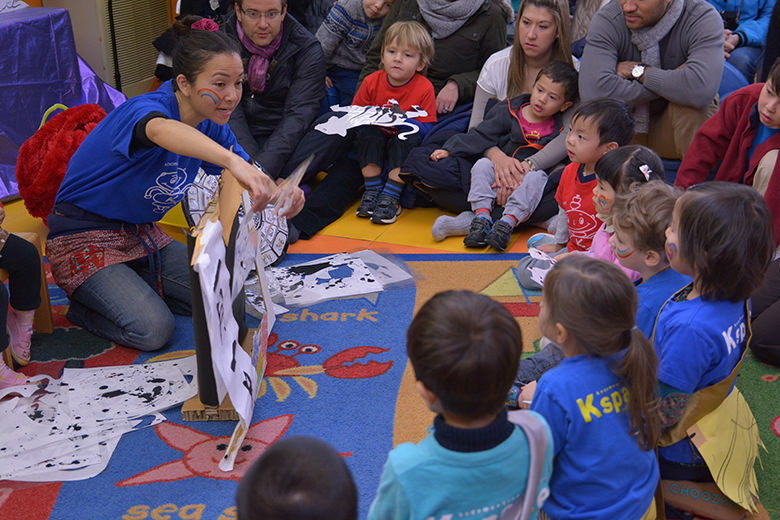 Our JLIP begins at bilingual age (3 to 4 years) and we continue to support the children with their Japanese studies until they are six years old. There are many reasons to enroll your child, and obviously these differ from family to family. 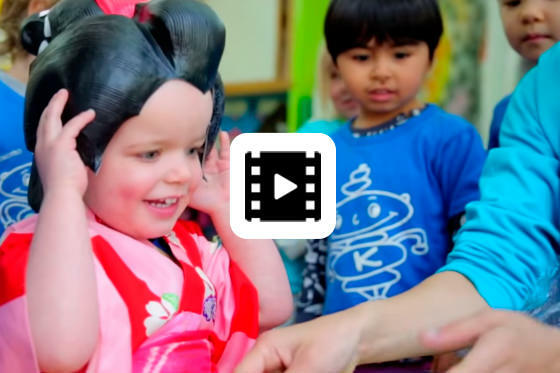 You may be living in Japan for a few years and hope to give your child an enriched cultural experience. 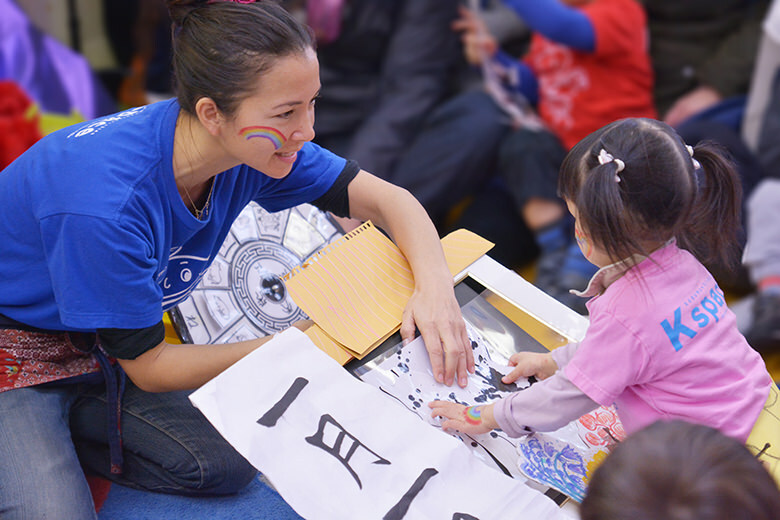 Other families are multi-cutural/Japanese and wish their children to maintain a healthy grounding of both Japanese and English, prior to moving on to Elementary School. We also have foreign parents who share a long history with Japan, and are hoping that their children will also wish to further their Japanese studies. The reasons for wanting to join are many. How Does the JLIP Run? Children in the JLIP are aged between 3 and 4 years old to be eligible and must join us five times per week. During their JLIP stage they attend classes conducted in Japanese on Tuesdays and Thursdays. These are taught entirely by our native Japanese speaking staff. On Monday, Wednesday and Friday they join our native English speaking, foreign staff. Please note, that on JLIP days the children's school day begins at 8.45am and finishes at 13.45pm – approximately 15 minutes earlier than the regular Butterflies, to keep the programmes segregated. On the JLIP days the children wear little sakura shaped name badges. They are assigned two Key Workers; one in their English Language Programme and one in the Japanese Language Programme. For the purpose of assessment, report writing and Parent-Teacher communication the teachers will liaise and collate observations and feedback. Classes are for fifteen students only and we invite children from all cultural and language backgrounds. Enrolments are accepted on the proviso that parents are committed to providing their child with a strong English language education, which also includes a foundation course in Japanese language and culture. Parents must be happy to use English to liaise with the school. Please note that all written and verbal feedback regarding your child's progress will continue to be in English only. What is the JLIP Curriculum? The daily schedule basically mirrors that of the regular Tspace schedule, however lessons are adjusted appropriately. All Butterflies follow monthly themes and continuity/repeat exposure to the lessons is essential. 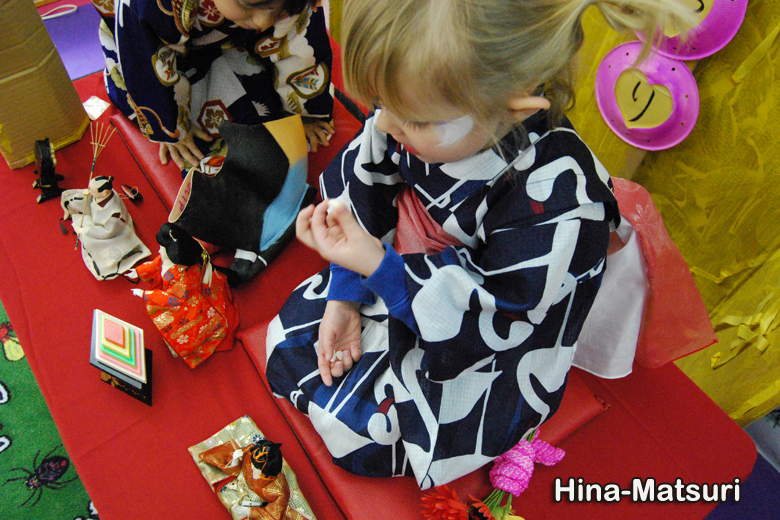 Consequently the children will follow their theme throughout the month, in both English and Japanese. 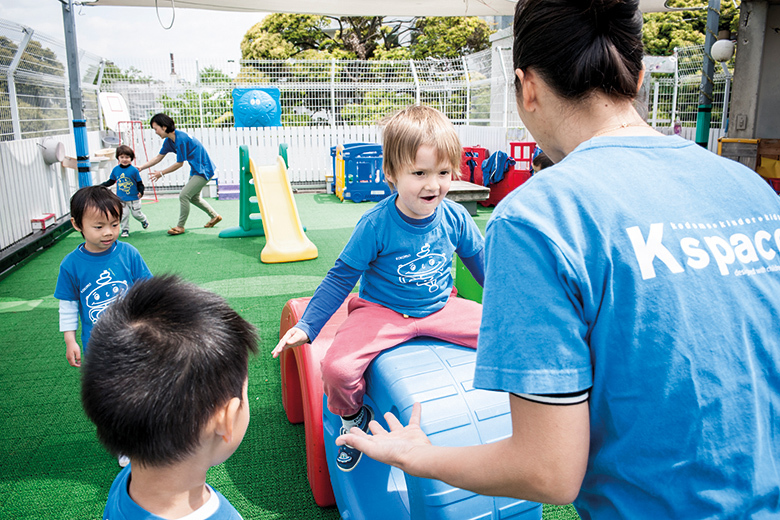 All children have a different level of English/Japanese proficiency when they enter this programme. Your child's individual level will be assessed and tasks will be set appropriately. Where possible, teachers use the language of delivery to explain new vocabulary and its uses throughout. As with all language acquisition it is often necessary to use native language parallels to establish understanding, and our team is well qualified to judge when this is necessary. For the Language Arts modules, Jolly Phonics is replaced by the equivalent Japanese Language (Hiragana) reading and writing scheme. To introduce the children to the language through fun we use lots of visual cues, tracing, children's versions of 'KARUTA' (a Japanese hiragana recognition card game) and games. The teachers use the 'big story' card system, and encourage lots of questions and interaction at Circle and Story Times. 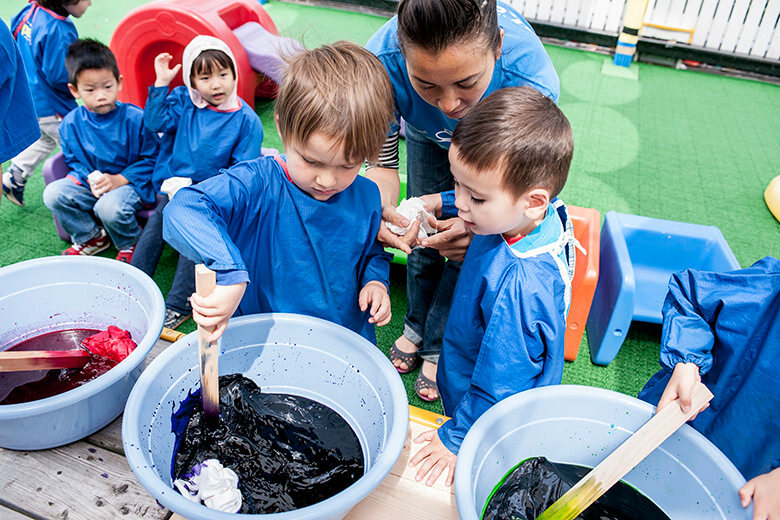 English language days are exactly that – NO Japanese studies at all, PLUS the addition of highly focused phonics and reading time. This rises to very special early academic studies when the children move onto Bugs' age (4 plus), with some one-to-one tuition and assessment of the child's reading/literacy skills once they join Super Bugs. Kspace has tailor made the most effective reading and writing skills programmes available for this age group. We focus on the future too, and want to ensure all children are absorbing the information and track for what's at Super Bug level and elementary schooling. Mathematics, when taught in the JLIP, is taught in Japanese, yet follows the same lesson plans as the regular lessons. 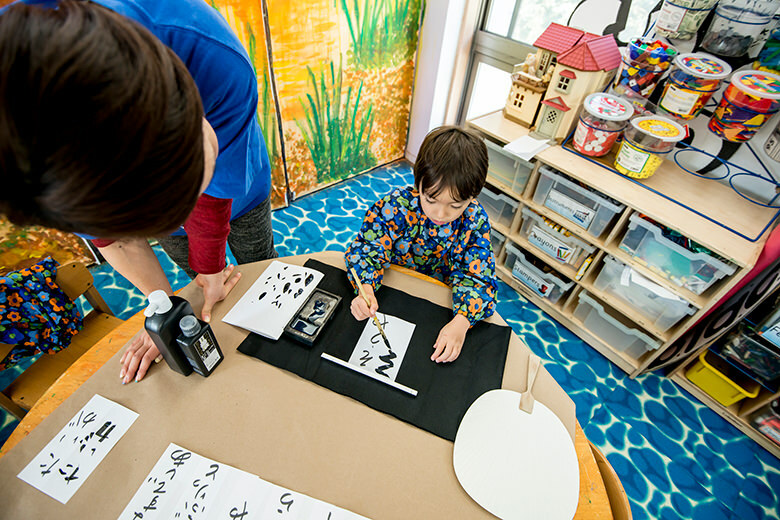 The Japanese language employs a rather complex set of vocabulary specifically used for counting, and the children will be exposed to many memorable examples that they can use at home, and learn at the same pace as Japanese natives. Many of the same wonderful arts and crafts are created as in the regular programme, however instruction is in Japanese. Over the year the children will also carry out some nice unusual origami projects (including making mobiles and large scale/group origami! ), Kirie (paper cutting), Temari (Chinese style silk balls) and Washi (making our own paper). In our Aspace classes (after-school) children can also enjoy fabulous small-class tuition in Sumi-e and Shodou (ink drawing and calligraphy). One of the 'golden' parts of this programme, which really puts it at V.I.P status, is our amazing emphasis on Japanese festivals and traditions. In our class we will keep a little Goldfish, in a pretty Japanese style bowl (Medaka), so that the children can discuss pets and take turns feeding it. We also learn all about the customs and games at festival throughout Japan (O matsuri) and have many chances to dance, dress up, attend photos shoots and celebrate with the local community. We follow all the regular fun Japanese dates, to make your experience at Kspace JLIP even more special! For example, we study; Midori no Hi – The Showa Emperor's Birthday, Kodomo no Hi – Children's Day, the Buddha's Birthday, Tanabata – Japanese Star Festival and many more! 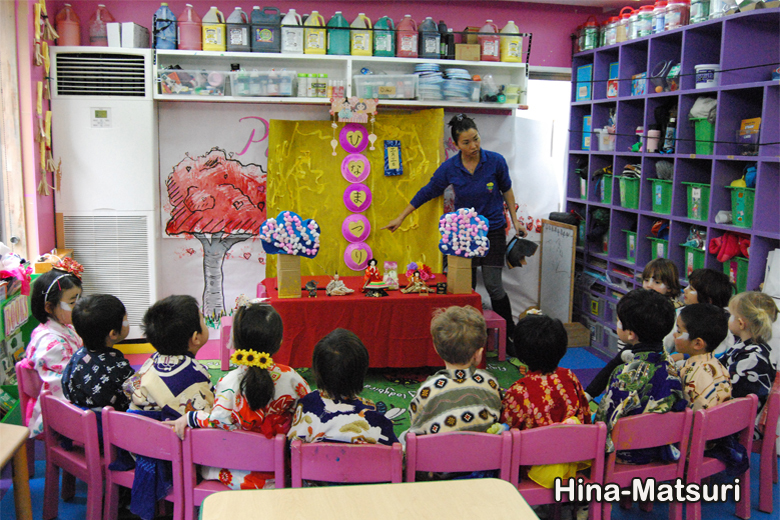 Children also love their cooking classes, and learn the names of many Japanese foods and ingredients. The children enjoy a wonderful selection of memorable and stories and references throughout the course. 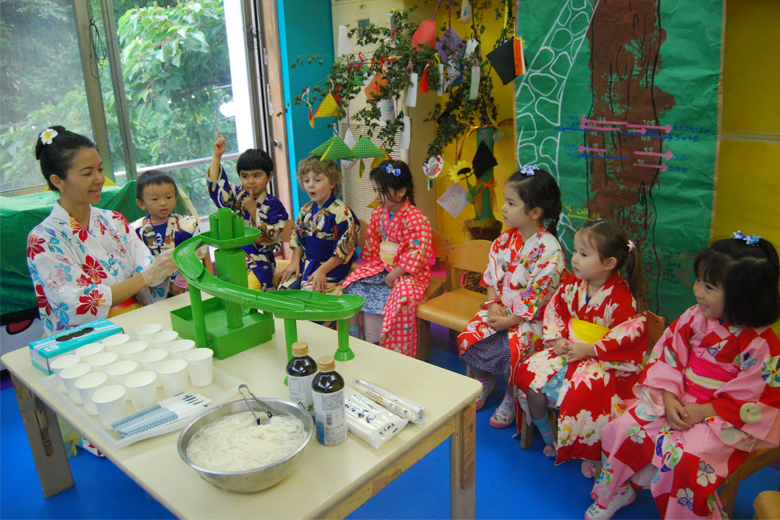 We we ensure that all of our teaching materials are beautifully detailed and teach the children about Japanese customs, traditions and language. 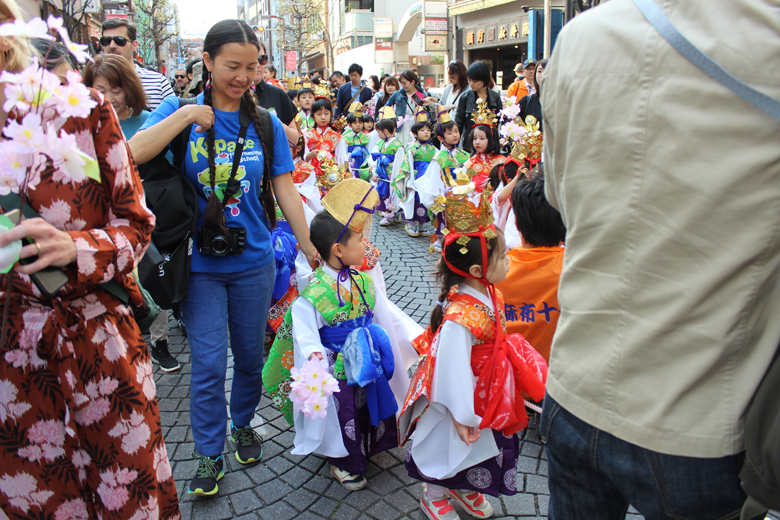 Throughout the term the children enjoy a visit from our lovely senior citizens in the community, cultural exchanges, day trips to special places of interest (like the Edo-Tokyo Open Air Architectural Museum - Edo-Tokyo Tatemono-en), and of course we cannot forget our bazaars and lovely picnics…like 'Hana mi' – the cherry blossom viewing. Parents will be invited to join us at our venues!. At snack time the children follow all the appropriate manners and learn their polite phrases. They will learn 'itadakimas' and how to use their Ohashi (chopsticks) politely, with guidelines to all the table faux pas! They will also wash hands, set the table and help each other with chairs and food, and brush their teeth afterwards – using the same language and phrases each lesson. We ask that parents provide all children with an Obento furoshiki (lunch box napkin/decorative wrapping) so that we can wrap their lunch box/catered lunch box up for them prior to lunch. 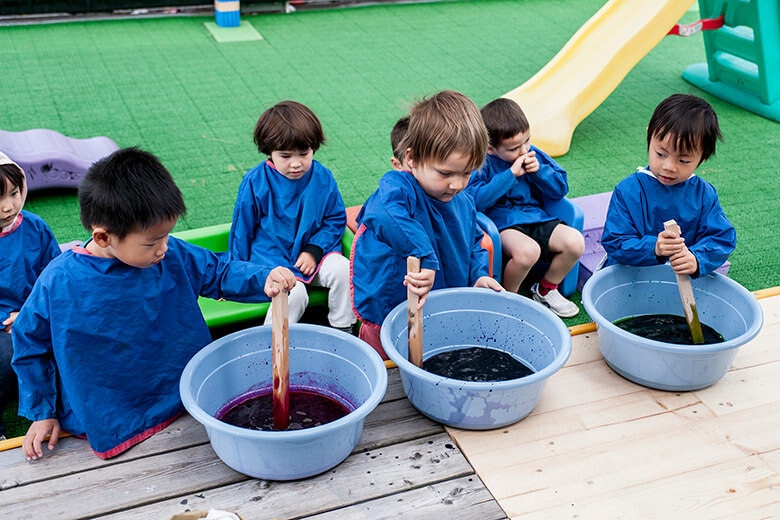 This will teach them how to tie and fold a furoshiki, and give the lunch time a very distinct Japanese flavour. We also ask that all children bring in a full 'O Hashi Seto' – with chopsticks (and spoon/fork). The syllabus follows the same format as the regular programme, with the addition of some equipment that is used widely in Japan, like skipping and jumping rope (Nawaotobi). Games that are well practiced by Japanese children will also be learned, like 'AYATORI' ('Cat's Cradle' and other shapes made with the fingers, using string/wool). The JLIP is headed by our charismatic and trilingual, Aya Schubert. Together with her task force of native Japanese speakers she leads the children through a fabulous curriculum. The class is limited to just fifteen students and we welcome applications. Due to the special nature of the programme all applicants will be assessed to ascertain their current level of both languages, and their needs from the programme. 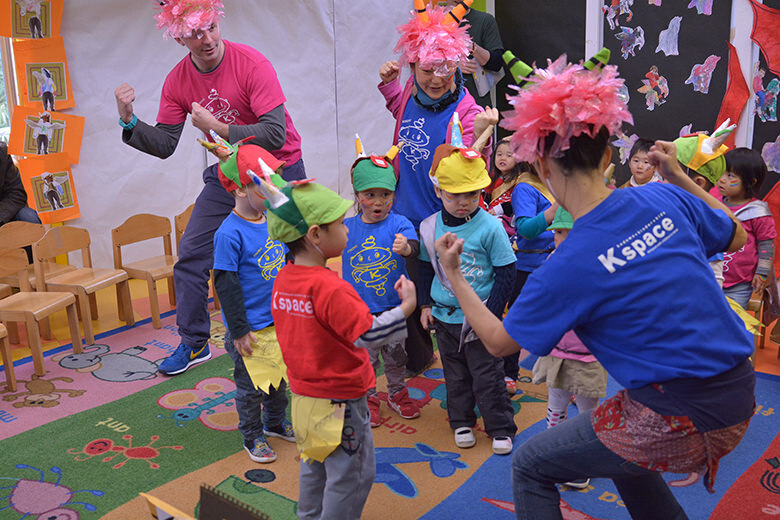 Non bilingual and non-Kspace children will be invited for a class observation, which will allow you to see the regular English Language in progress, view the Japanese language class and meet the bilingual Team. Enrollments must be submitted as early as possible for this highly sought after and popular course! Sample invoices can be drawn up for all enquirers. Fees can also be viewed on our website. 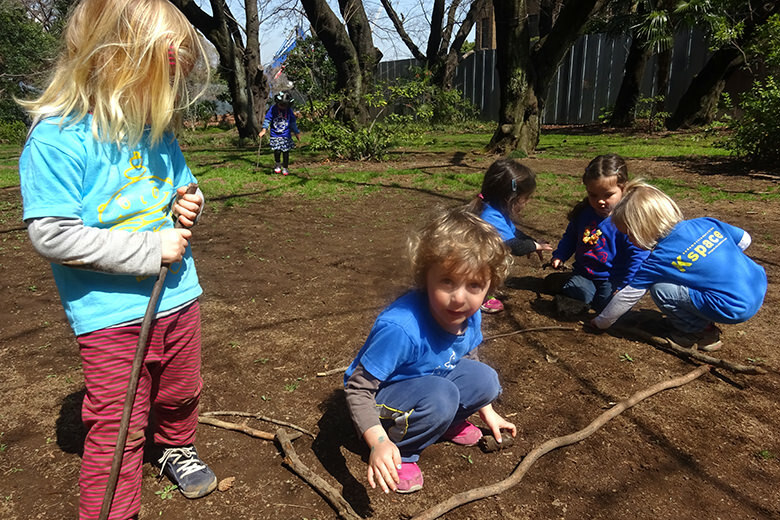 When the children move up in the school they join our Big Bugs and Super Bugs groups. We have an amazing Japanese language syllabus for them to enjoy as they grow older and JLIP children naturally enjoy this very much. 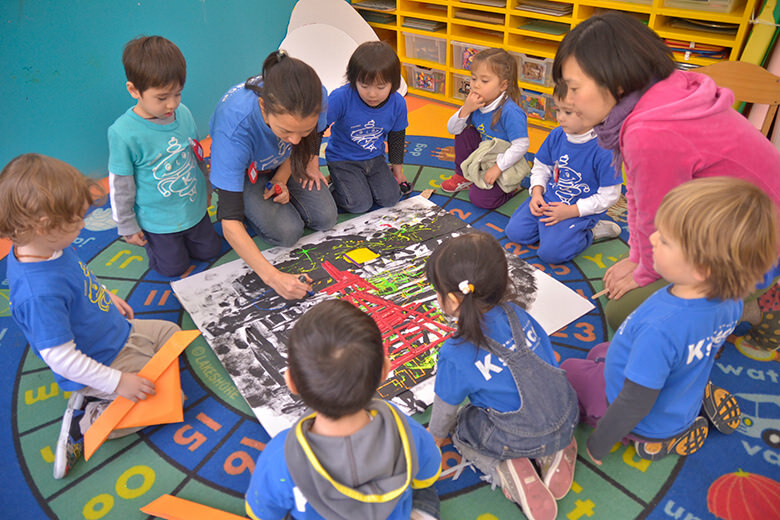 Focus is on English and an International School curriculum prior to elementary/shougakko school entrance, so we have designed a fabulous selection of specialist after school support classes that naturally the JLIP children enjoy very much. 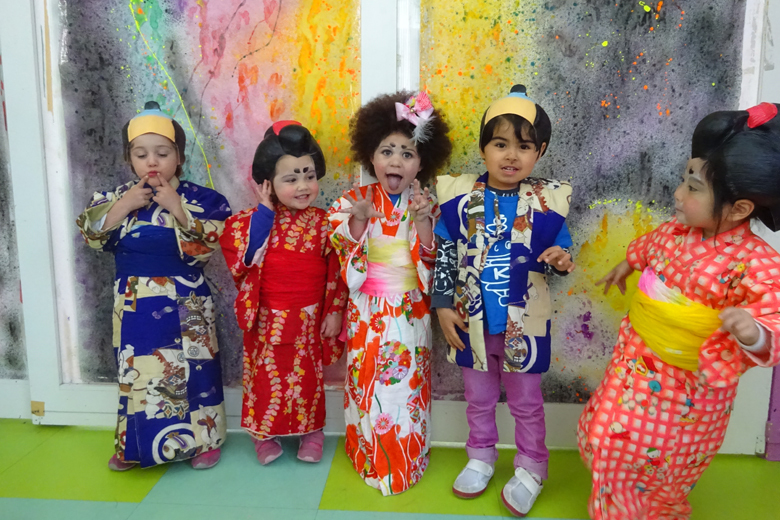 The children can join us for further Japanese language support, Japanese calligraphy and ink painting, specialist monthly weekend workshops and also fun periods during our summer/winter camps, when focus is on Japanese studies. There is a great deal to choose from!